Five Parfuma varieties to delight your senses. The Parfuma Collection from Kordes showcases roses with extraordinary fragrance and exceptional health. Far too often it is believed that modern roses lack fragrance or that fragrant roses are not healthy. With this collection we can demonstrate that this is not the case. With a combination of extraordinary perfume and exceptional health, Parfuma roses create a sensual experience for the eyes and nose. All plants in this collection are supplied as bare rooted bush roses. Each collection has been discounted to 25% off! Receive FREE FREIGHT on your entire order when ordering a collection. Yes, this means you can order additional roses and still receive FREE FREIGHT*!! 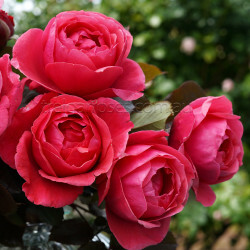 *Free freight offer is available for orders containing bush roses only and excludes any order containing standard or weeping roses. W.A. quarantine charge still applies. Known as the Fruity Parfuma this rose has a strong intoxicating fragrance, rich in facets of ripe raspberries and rhubarb with a hint of patchouli. Lovely healthy growth to 80 cm to 1m high and 40 to 60 cm wide on average and the unusual round blooms get to a diameter of 6 cm in a wonderful coral red. A must have for its fragrance alone. ADR winner 2018. For more information, click here. 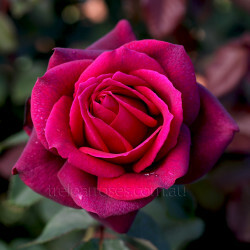 This beautiful, sensuous rose is everything you could want in a Hybrid Tea. From buds that are almost black, the cupped flowers emerge with a unique violet-red, before maturing into blooms that display a spectrum of colour from red to violet purple, to even darker hues. The sophisticated, sensual fragrance of floral and fruity aspects enhance this very desirable rose. The glossy green foliage has exceptional disease resistance, proven by its prestigious ADR award in 2014 and Bronze Medal and Most Fragrant Rose award at the Adelaide National Rose Trials in 2016. Neat bushy habit to 1.2m tall. For more information, click here. Exceptionally fragrant old world shaped flowers opening from dark pink buds. The colour evolves to a delicate pink and the blooms give off an intense fragrance of lemon and apple. Growing to around 70cm tall in an upright form with healthy dark green foliage. For more information, click here. 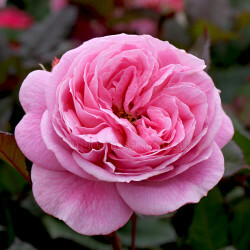 This variety will stand apart with its exceptional fruity fragrance and healthy foliage. 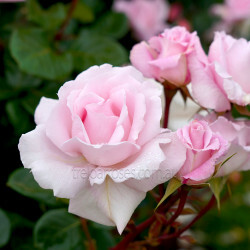 The high-centred buds open to nostalgic shaped cups in a delicate pastel pink. A very bushy plant with vigorous growth to an average height of 1m tall x 80 cm wide. For more information, click here. Magnificent mid pink, fully double and quartered blooms adorn an upright floribunda to around 80cm tall. Emitting a captivating scent of spicy apples and a hint of liquorice on a bush with dark green dense foliage. A worthy ADR winner with the famous Kordes health. For more information, click here. 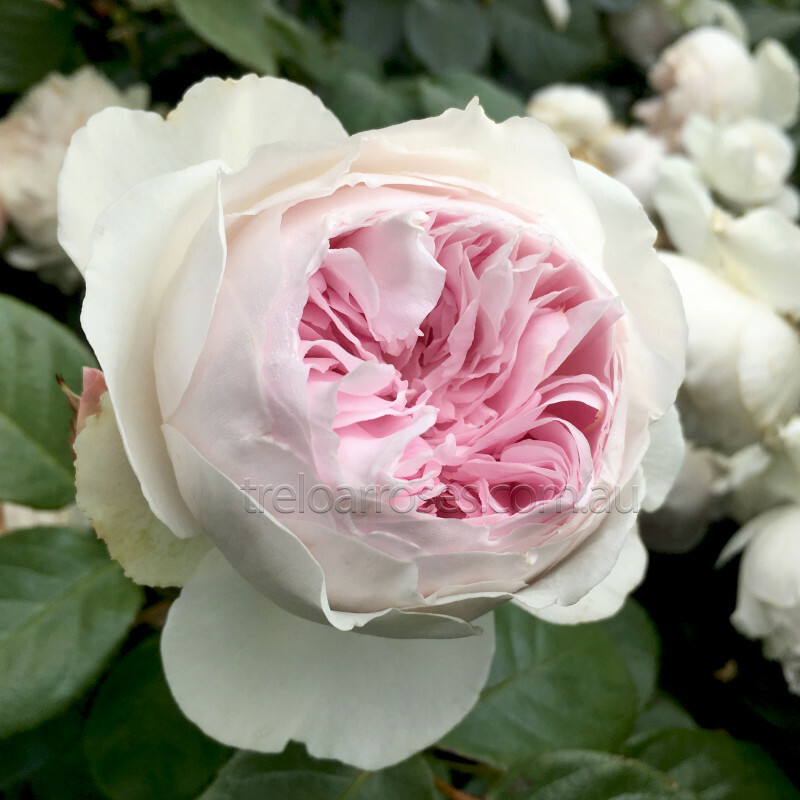 (Kormaccap) - This variety will stand apart with its exceptional fruity fragrance and healthy foliag..
(Kortekcho) - Magnificent mid pink, fully double and quartered blooms adorn an upright floribunda to..